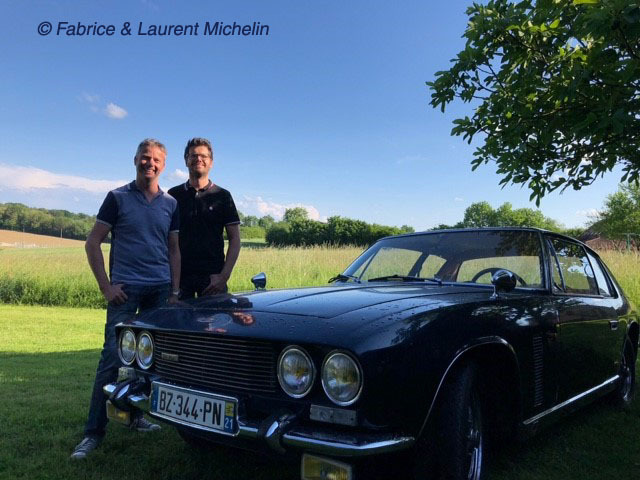 In September 2017, Laurent and Fabrice Michelin from France, purchased two Vignale manufactured Sincar Interceptors. The two cars were just three chassis numbers apart, 117/2603 and 117/2606. The two Interceptors were built by Vignale for sale in Europe by Sincar. This is the story of two Vignale made Sincar Interceptors, the Museum hopes that more information might be found about the history of these two cars. Both 117/2603 and 117/2606 were sold new in France, being supplied by Sincar to Société France Motors, Paris. They were identical builds with blue paint and tan leather trim. The motorised chassis 117/2603 was sent to Vignale on 1st May 1967. 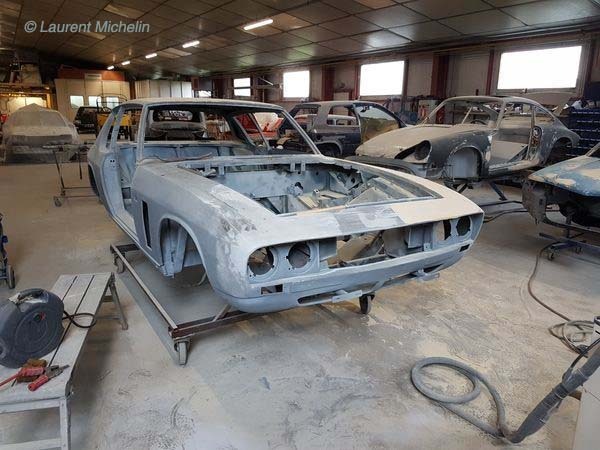 At Vignale the 117/2603 chassis was built up as a completed Interceptor, being given the Vignale assembly number ‘21’. 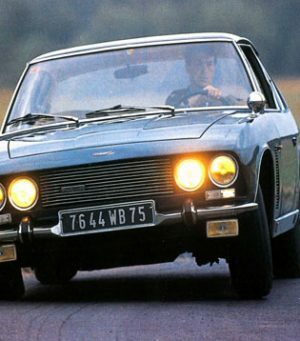 An exact completion date from Vignale isn’t known, but it is believed the finished car would have been sent to Société France Motors, Paris, in late 1967. 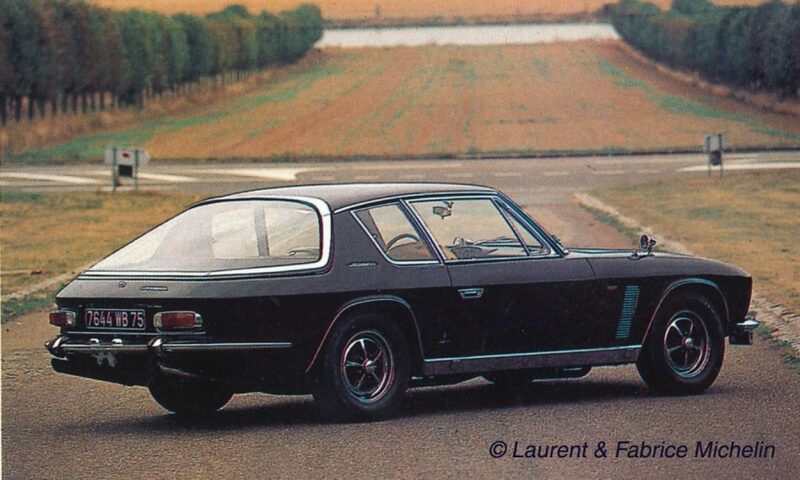 Vignale Interceptor ‘21’ (117/2603) was first registered in France on 18th April 1968. The first owner was a Mr Henri Desfilles, the owner of the company, LDM Nautilus. The company manufactured trailers for boats. 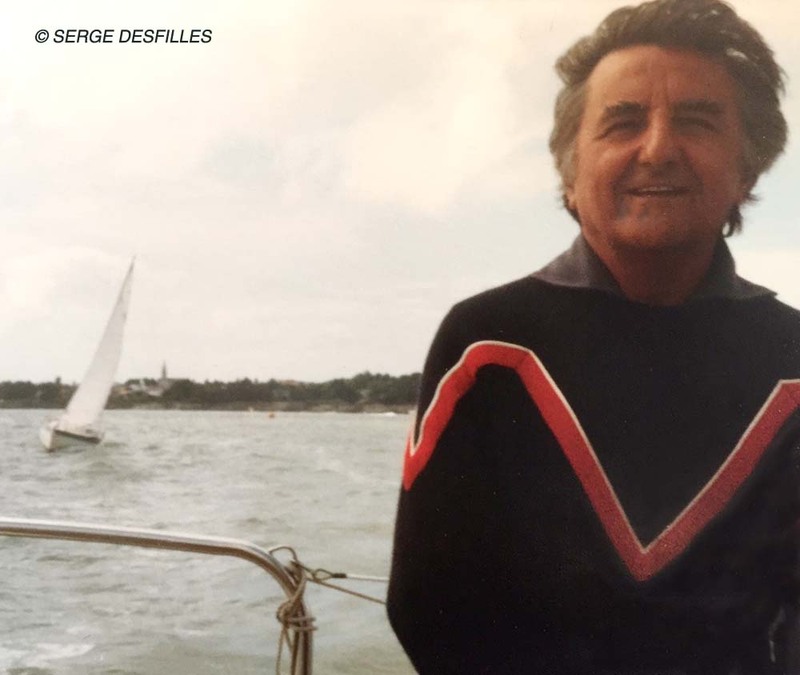 Henri Desfilles photographed aboard his boat in the 1970s. The first immatriculation for the car was 5419 AL 94. Chassis file correspondence with West Bromwich, implies that Desfilles was less than entirely happy with his new Sincar Interceptor. There were a variety of faults, and bearing in mind the car didn’t have power steering, his wife found the car difficult to use. At the beginning of 1969, the car was sent over from France to West Bromwich to have a list of rectification dealt with. 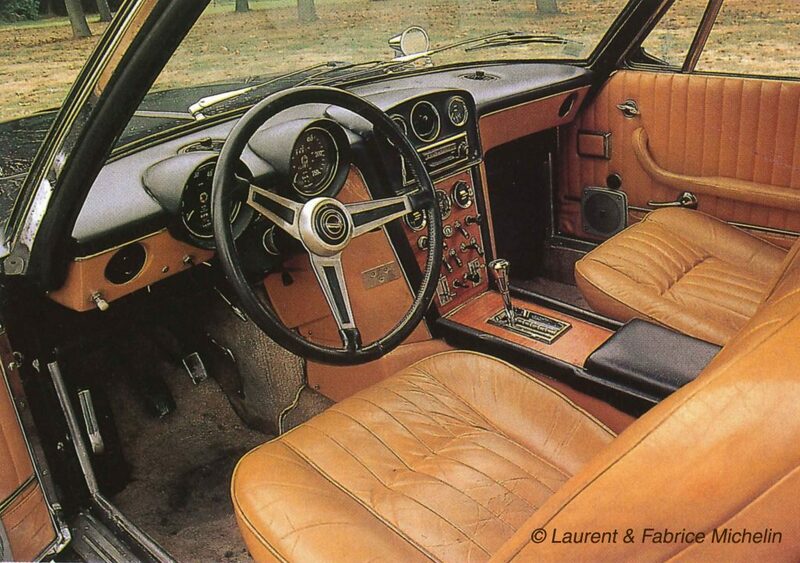 While the car was at West Bromwich, power steering would be fitted, along with a leather steering wheel. For all the work undertaken by the Jensen factory, Desfilles didn’t keep the car for much longer. Between 1969 and 1970, 117/2603 was sold. The second owner was Maurice Amyot. He had business interests within the insurance sector. 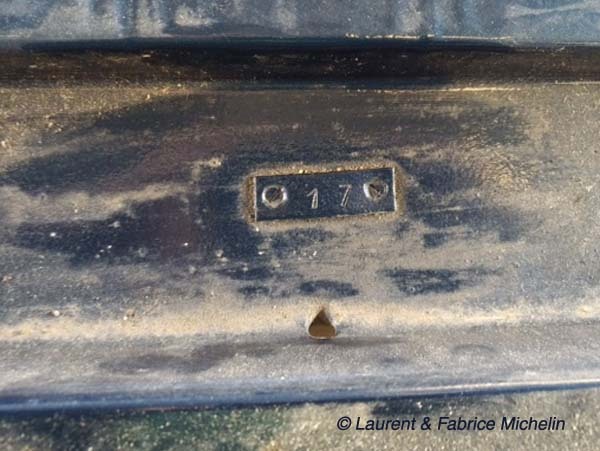 A new immatriculation number, 7664 WB 75 (Paris) was given to the car. After which, 117/2603 remained in Paris for most of its life. From 5th February 1988 to 27th July 2008 the car belonged to M. Félix Saier from Paris. 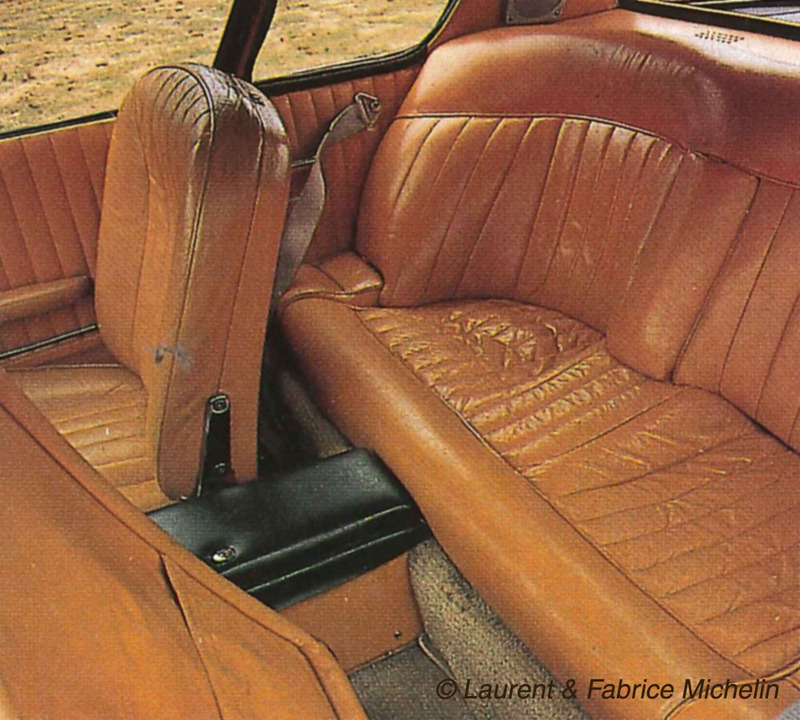 In late summer of 1991, Saier was contacted by the French classic car magazine, Auto Passion. Saier agreed to the magazine photographing the car, and preparing a feature. The feature appeared in Auto Passion issue No. 54, from the 9th October 1991. 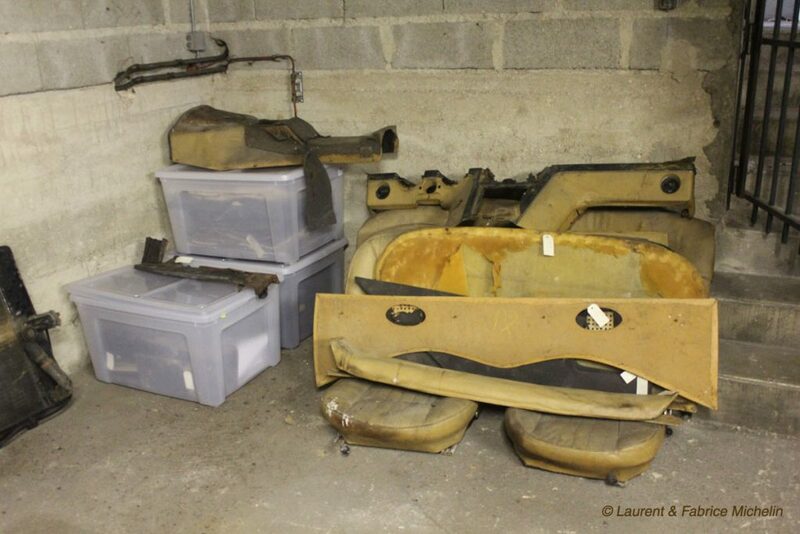 In 2008 Saier disposed of the car through the auction house, j.martin & chausselat. 117/2603 photographed from the rear quarter-side. Photograph taken 1991. Peter Speed, a Paris-based classic car dealer, purchased 117/2603, then placing the car with the auction house, Artcurial within months of purchase. Dominique Dichamp, the well known owner of the unique Vignale built Jensen Nova, purchased 117/2603. At this time the car was given the immatriculation number, ‘BZ-344-PN’. Dichamp acquired 117/2603 on 16th November 2008. The Interceptor had not been driven since 1994, and Dichamp simply put the car into dry storage. 117/2603 photographed at Dichamp’s barn in 2017. The 117/2606 shell can be seen in the background. The car remained in particularly original condition. Incredible, it has never been restored and all the modifications to the car (leather steering wheel, power steering pump and cooling system update) were undertaken by the factory in 1969. During 2015, Dichamp was also given the possibility to purchase another Vignale manufactured Interceptor. This car, 117/2606, had been stripped down back at the beginning of the 1990s, and the body had undergone restoration work. Afterwards the car was left, and this was the condition the car was in when Dichamp purchased it. 117/2606 was placed next to 117/2603 in dry storage. Neither car was touched until they were sold together in 2017. 117/2603 at the property of Dichamp. The car had been removed from dry storage and cleaned off ready for collection by Laurent & Fabrice Michelin. The new owners, Laurent and Fabrice Michelin, purchased 117/2603 and 117/2606 from Dichamp on 30th September 2017. 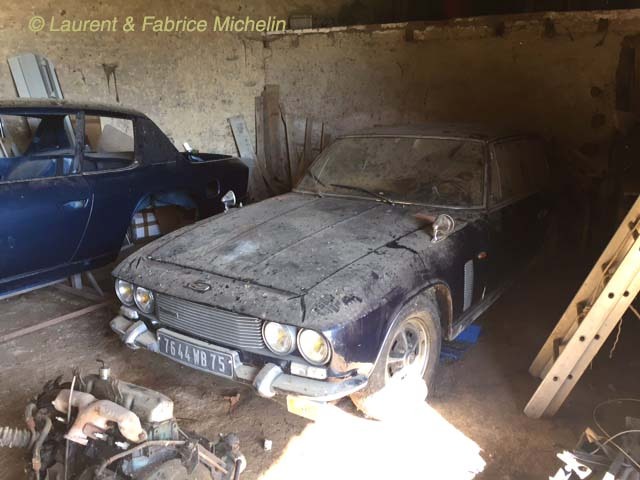 Fred Mary (a well known classic car restorer in France) picked up the two vehicles and transported them to his garage in Burgundy. Some initial recommissioning work was undertaken to 117/2603, allowing the car to be driven. A video of 117/2603 being driven, was made in spring of 2018. The video using a drone piloted by Laurent Michelin’s son gives some remarkable footage of the car. A link to the video can be found at the end of this feature. Fabrice & Laurent Michelin standing next to their Sincar Interceptor 117/2603. 117/2603 interior view showing the rear seats. The engine-bay of 117/2603. The engine-bay, as indeed the rest of the car, remains particularly original. The shrouded fans and upper front radiator shroud were offered to owners who protested about over heating issues. 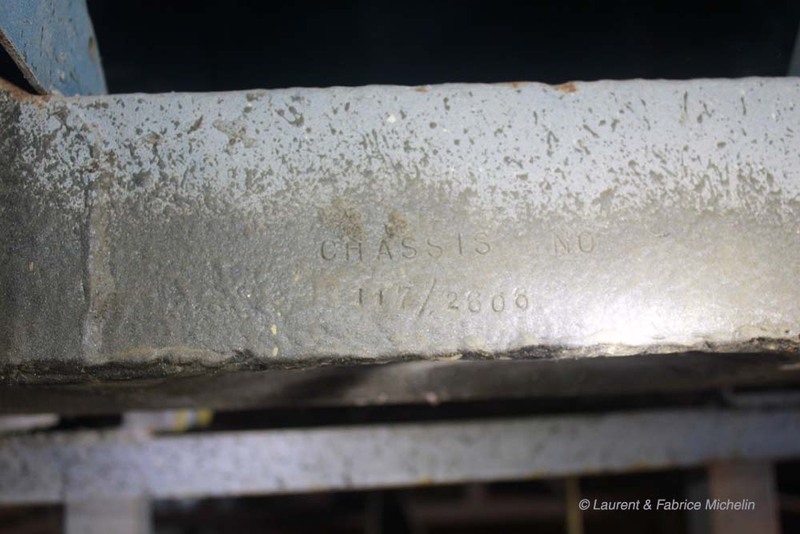 The 117/2603 chassis number to the front cross member. 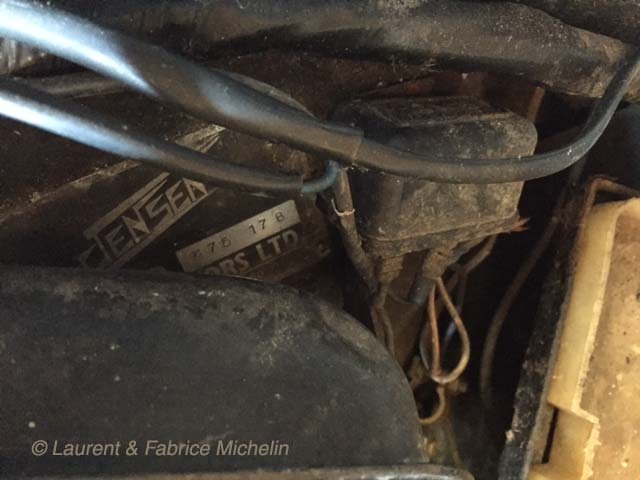 Vignale number ’21’ assigned to Jensen chassis 117/2603. This plaquette is mounted in the front gutter section where the bonnet hinges. 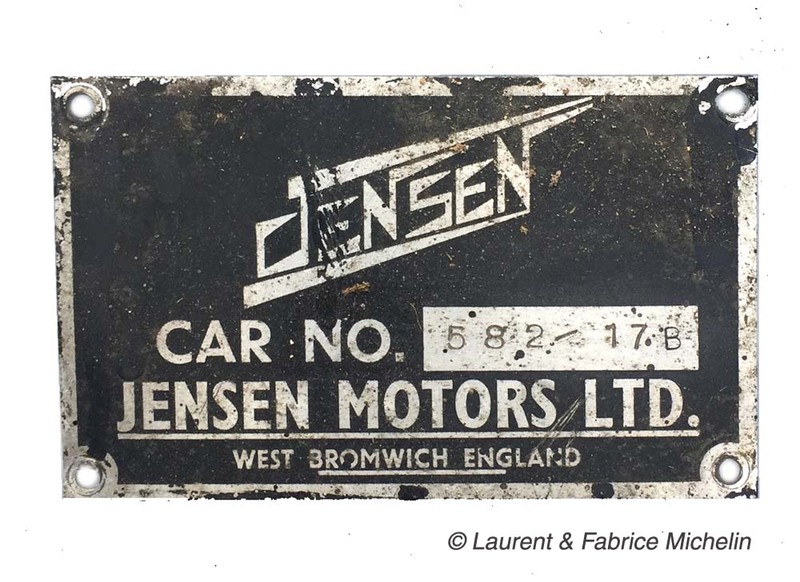 Jensen engine-bay chassis plate with engine number stamped on. Engine number: Engine plate states 582/17 B engine, but engine in car 546 /17B. The motorised chassis 117/2606 was sent to Vignale on 8th May 1967. 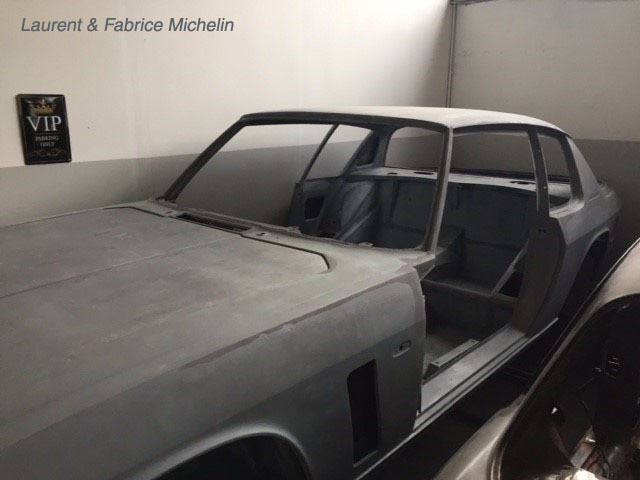 At Vignale the 117/2606 chassis was built up as a completed Interceptor, being given the Vignale assembly number ‘17’. 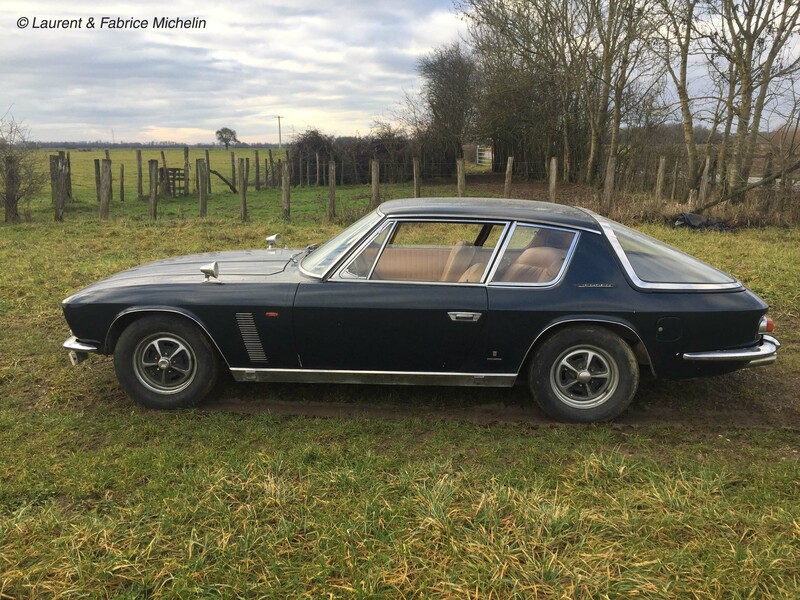 An exact completion date from Vignale isn’t known, but it is believed the finished car would have been sent to Société France Motors, Paris, in late 1967. The first immatriculation date was the 5th May 1970 (almost three years after the car production date) but the first immatriculation number and the first owner remain unknown. Balthazar sold the car in 1973. The third owner was Monsieur Jean Paul Morard. He purchased the car on 19th November 1973. Morard lived near Lyon and was working in textile import export. The immatriculation number was changed to 9464 FD 69. The Interceptor was used as a work vehicle by Morard, often being driven between Lyon and Paris. 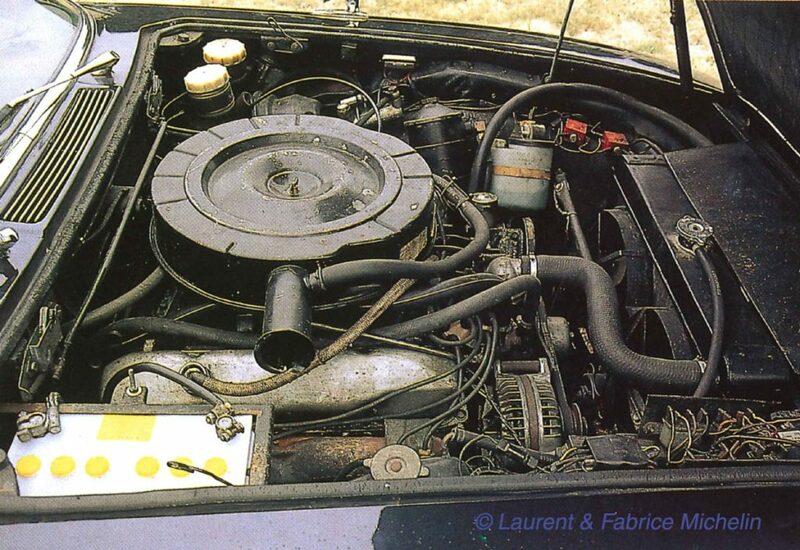 During the year 1991 (to be confirmed), Laurent Vène, living near Paris, bought 117/2606 (the mileage then 75501 km). Vène started to restore the vehicle, and as such, 117/2606 remained off road from 1991. This explains why a new immatriculation number wasn’t assigned to the car at that time. Vène completely dismantled 117/2606 and had the body restored by a professional company. Work stopped after the body was painted (in a non-original blue) due to a lack of time. With work on the car at a standstill, Vène decided to sell the vehicle in its dismantled state to Domonique Dichamp. Dichamp purchased 117/2606 in 2015, put the car into dry storage and left it. The interior and other parts in storage at the basement of Dichamps’s home. After various discussions with Dichamp, the Michelin brothers agreed to the purchase of both 117/2603 and 117/2606. Fred Mary (another well known Jensen enthusiast in France) picked up the two vehicles and transported them to his garage in Burgundy. Once at his garage, Mary was asked by Michelin to remove all the blue paint on 117/2606, and to check the level of bodywork restoration. 117/2606 stripped of paint at the workshop of Fred Mary. To both the Michelin brothers, and Mary’s surprise, not only was the restoration to a very good standard, but the original body must have remained in a generally rust free state. This was evident by the lack of replacement metal welded to the body shell. Removing the paint hadn’t been wasted, since the blue colour, albeit close, was not a perfect match to its original factory colour. After stripping the paint from 117/2606, the Interceptor was sent to Carrosserie Roman Brois (also situated in Burgundy). They would be responsible for preparing the body for paint. 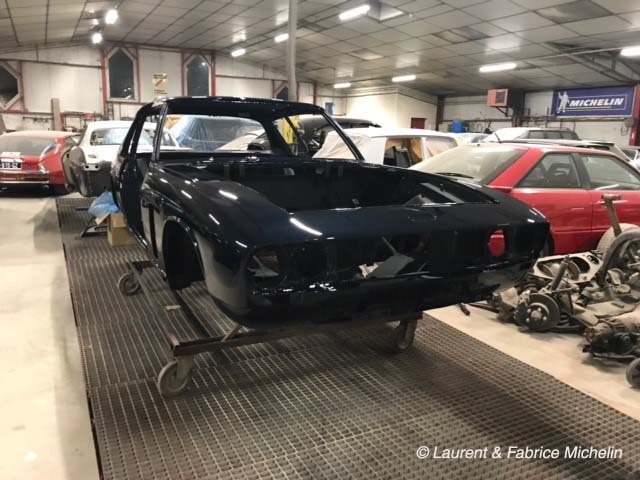 As the body was being prepared, original paint samples were spectrographed, allowing a much closer paint match to be made. By September 2018 the car had been painted. Interceptor 117/2606 in paint September 2018. Meanwhile, the leather had been examined by specialists. It was in a bad way, and had gone dry to the point of breaking up. 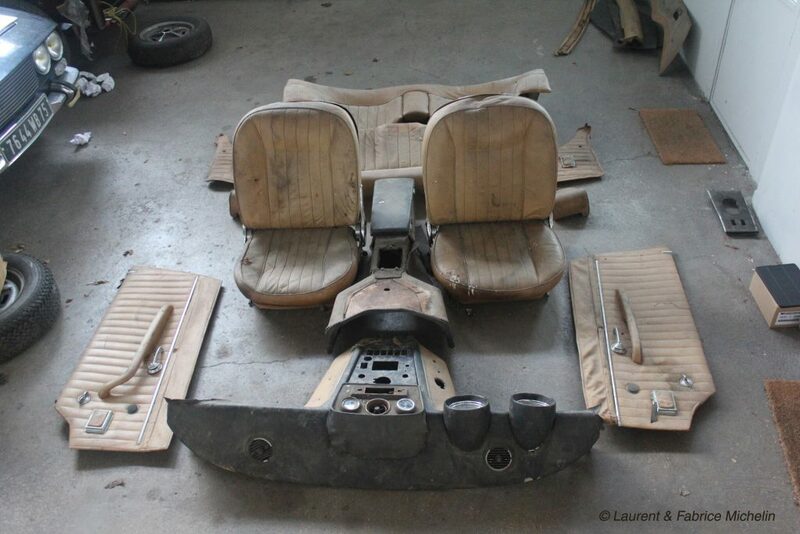 Following discussions with the Museum, it was decided to have marque specialists, Rejen, retrim the interior. In part this was because the Museum and Rejen had already sourced an exact leather that replicated the tan leather used by Vignale. This was for one of the Museum’s cars, Vignale Jensen FF chassis number 119/004. 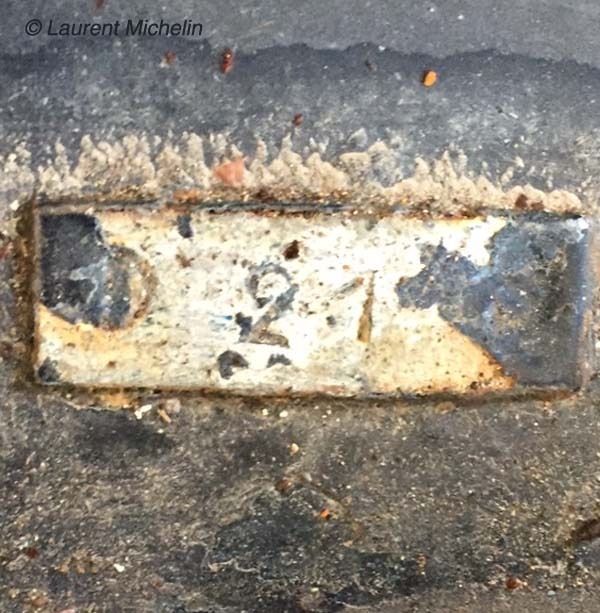 The Michelin brothers have allowed the Museum to archive the original trim from 117/2606. The leather trim from 117/2606 as found. 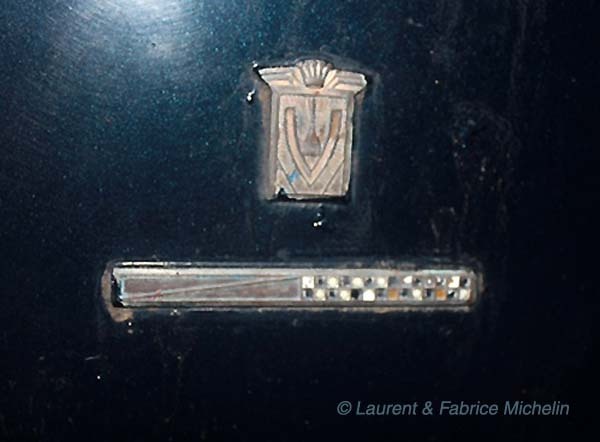 The Vignale plaquette for car number ’17’. The typical Jensen engine-bay chassis plate.. 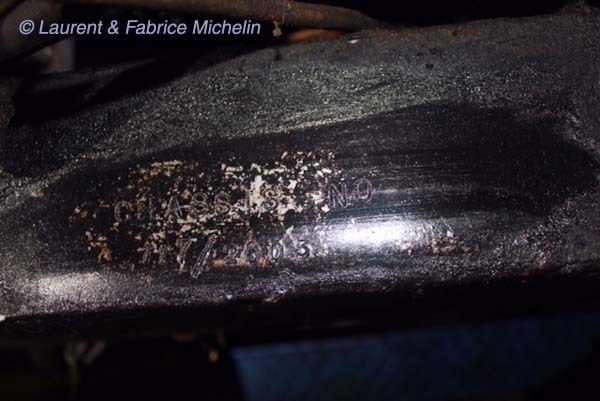 The Sincar Interceptors were stamped with the engine number rather than the chassis number. The front cross member stamped with Jensen’s chassis number 117/2606. The Vignale badges as fitted to the lower part of the rear quarter panel. This was only done on Sincar Interceptors. Cars being produced for Jensen themselves didn’t have them fitted. As work continues, the Museum looks forward to seeing the finished car. ACKNOWLEDGEMENTS: Laurent & Fabrice Michelin | Serge Desfilles. 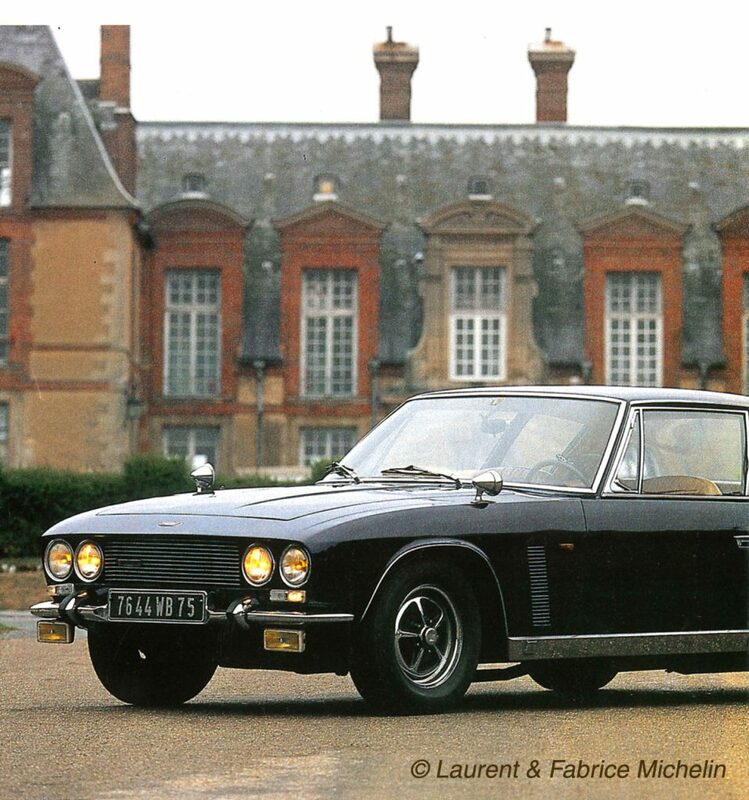 COPYRIGHTS: The Jensen Museum | Laurent & Fabrice Michelin | Serge Desfilles.